I have a nostalgia for anything related to the Alberta Rockies, specifically Banff, as I spent two of my early adult years in the town. 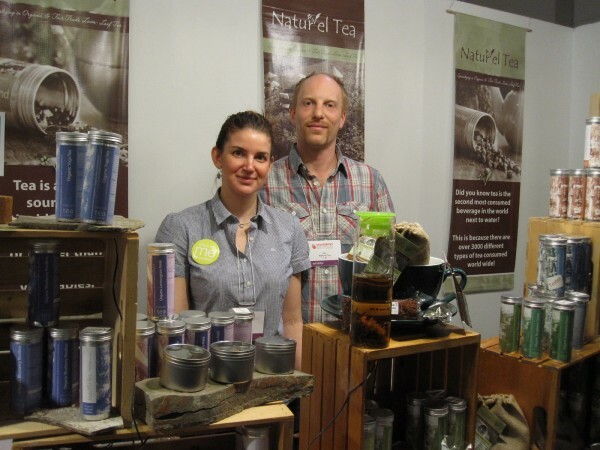 When I discovered Natur’el Teas at the One of a Kind Show in Toronto I knew that I would be fashioning a feature post around their story. Jolene Brewster is a 4th generation Rocky Mountain original. 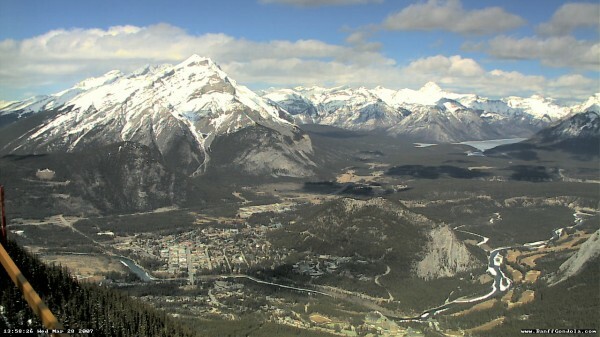 The Brewsters – her great grandfather and uncles were frontiersmen who arrived in the Kananaskis area over a century ago, just as Banff National Park was established. She worked for Brewster’s Outfitting in the mountains as her first job out of high school. She believes, “Living out in the mountains was the most wonderful graduation into the ‘real world’. Growing up on an Alpaca ranch in the rural town of Sundre Alberta, she had a distant view of the majestic Rockies and Banff National Park. .She is able to recall memories of a rural childhood where drinking afternoon tea out of china cups with her mother’s friends was a highly anticipated ritual. As a child, she sat quietly for hours sipping tea, tasting treats and listening to the female patter of conversation. 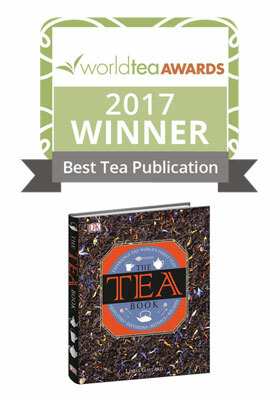 Later, in her travels she discovered a new world of tea that inspired her to make the beverage her vocation and specialty loose leaf teas available to her community. Before entering the world of tea, Jolene studied Land Resource Management. She moved to Australia for 5 years, casually studied Ayurvedic medicine and worked with naturopath Jan Smith – a tremendous inspiration that really changed the focus of her life. After her return to Banff, Jolene operated an Alpaca Shop with her Mother. I asked Jolene how long she had been considering opening a tea room. “I had long been wanting to devote my life to something that I believed in and represented the values I could share with people. When I decided to open my Tea Room it was because the opportunity of location presented itself and I had no hesitation in making this a reality. Within 6 weeks of my decision… 6 weeks of incredibly hard, round the clock work, the reno’s were finished, staff hired, and I opened my doors. My education in tea really began at this point. As I learned, it became clear this was my life path and I have never looked back.” Her tea shop on the very busy main drag of Banff Ave., stayed open for 4 years. She has now pared the operation to selling online, being represented by other retailers in the Banff area and setting up shop at various craft shows around the country. We loved Natur’el Tea’s packaging. 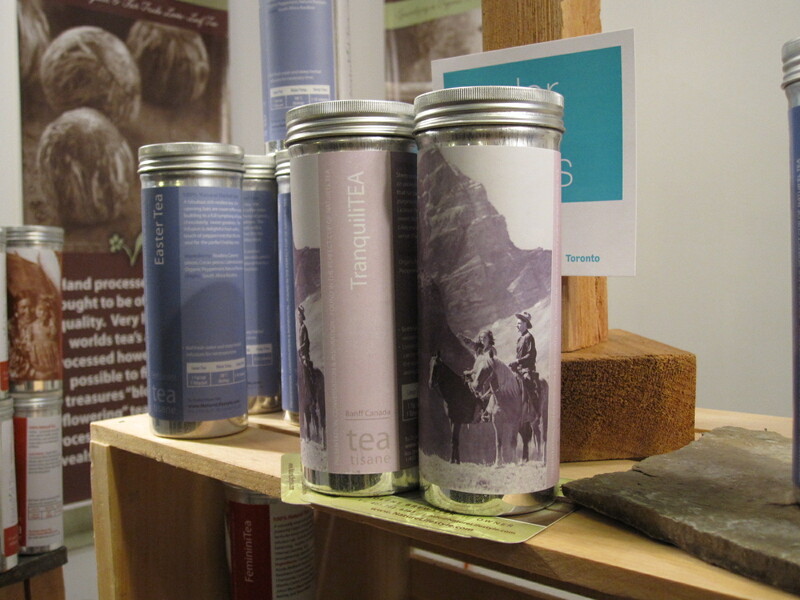 The simple tins are wrapped with archival shots of Banff’s Alpine pioneers and trail riders and early photos of First Nations all acquired from the Whyte Archives of the Canadian Rockies. The black and white photos have been tinted in different colours to represent classifications of tea such as oolong or herbal tisanes. It made for a pretty display. One tin featured a picture of her cousin, Archivist Maryalice Stewart at age 16 on horseback in 1939. I have ordered her Snowy Mountain Genmai Cha and Organic Lapsang Souchong. Look for reviews of these teas in the near future. When you live in paradise, it’s hard to imagine leaving, but Jolene plans to visit tea growing regions around the world.”Tea is a lifetime of learning and over the years my appreciation deepens as I discover more about the agricultural practices of this ancient plant and how this is affected greatly by the culture and customs of people growing, caring for, harvesting and enjoying the tea in their way.” The best teas are grown at high elevations, so she’ll feel right at home!